Weather: Summers 45°- 19°C. Winters 4°- 22°C. 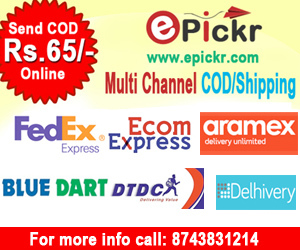 Orissa has a glorious and ancient history spanning a period of over 2000 years. In ancient times, it was the proud kingdom of Kalinga. Kalinga was a major seafaring nation that controlled most of the sea routes in the Bay of Bengal. For several centuries, a substantial part of Southeast Asia, such as Kampuchea (Cambodia), Java, Sumatra, Bali and Thailand were colonies of Orissa. In fact the name of the country "Siam" is derived from Oriya/Sanskrit Shyamadesha. The temple of Angkor Wat is a fine example of Orissan architecture, with some local variations. Bali still retains its Hindu Orissan heritage. A major turning point in world history took place in Orissa. The famous Kalinga war that led emperor Asoka to embrace non-violence and the teachings of Buddha was fought here in 261 BC. Later on, Asoka was instrumental in spreading Buddhist philosophy all over Asia. In the second century BC, Kalinga flourished as a powerful kingdom under Kharavela. It is he who was built the superb monastic caves at Udayagiri and Khandagiri.Subsequently, the kingdom was ruled under various monarchs, such as Samudragupta and Sasanka. It also was a part of Harsha's empire. In 795 AD, the king Yayati united Kalinga, Kosala and Utkala into a single empire. He also built the famous Jagannath temple at Puri. King Narasimha Dev is reputed to have built the magnificent sun temple in Konark. Although now largely in ruins, the temple would easily have rivaled the Taj Mahal in splendor. The ruins of a major ancient university and center of Buddhist learning, Ratnagiri, was recently discovered in Orissa. Scholars from far away lands, such as Greece, Persia and China used to study philosophy, astronomy, mathematics and science at this famed University. Taxila, Nalanda and Ratnagiri are the oldest universities in the world. The ruins of Ratnagiri University have not been fully excavated yet. During the dark ages of Indian civilization, Orissa was ruled by a succession of Muslim kings. It was later annexed by emperor Akbar and became part of the Mughal empire. After the fall of the Mughals, the Marathas under Shivaji invaded the land and continued to rule until 1803 AD when Orissa fell prey to the barbaric British. Modern Orissa was carved out of Bihar in 1936. Contemporary Orissa has a proud cultural heritage that arose due to the intermingling of three great religious traditions Hinduism, Buddhism and Jainism. It has been further enriched by Islam and Christianity. 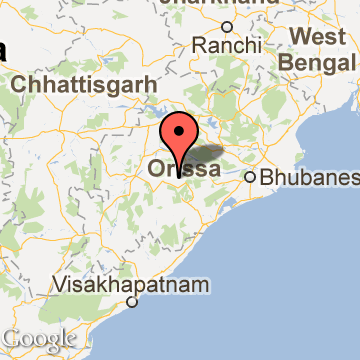 Orissa is located on India's east coast. It is bounded by the Bay of Bengal in the east and by the states of West Bengal in the northeast, Bihar in the north, Madhya Pradesh in the West, and Andhra Pradesh in the south. The state occupies an area of about 156,000 square kilometers. The capital of Orissa is Bhubaneswar. Bhubaneswar is also the most populated city in Orissa. Cuttack and Puri are two other cities with high populations. The history of Orissa has a place of distinction in the Indian folklore. The famous Battle of Kalinga was fought near the city of Bhubaneswar in 260 BC. The battle transformed Emperor Ashoka into a philanthropist and patronizer of the Buddhist faith. Many battles took place during this time period, and the next rulers of the Orissan area were the Kesari, a Hindu people, and then the Ganga. Then in the 16th century the Mughals brought Orissa in its empire followed by the Marathas. The British rule entered the political scene and took control of the state in 1803 with the rest of India. Buddhism, Jainism and Hinduism flourished in Orissa. As of 1991, the time that the last recorded census was taken, there were approximately 31, 660, 000 people living in the state of Orissa. Fewer than 14% of all citizens of Orissa live in cities. This number illustrates the great number of people who live in the country and work on farms. The ratio of males to females is about 1: 9.7. About one half of all the people living in Orissa can read, a high number for a relatively rural state. The most common language spoken in Orissa is Oriya. The average individual income, annually, is 3,963 Rupees.